Yesterday afternoon, at 3.45pm, Elizabeth Truss offered more clarity on her proposals for the UK childcare industry, following the Government u-turn on ratios. In response, Liz Truss stated, “We have had a wide-ranging debate on the various child care issues, but one point that I think we can all agree on is that there is an urgent need for high-quality, affordable child care in this country. At the moment, many working families are struggling to afford their child care, and I can assure the House that the Government are fully committed to improving the situation. Tax-free child care, which is the key policy that we have been promoting in the Bill, will contribute to that. If schools take 2 year olds at the rate they take 3 year olds, nurseries will not be able to survive. That is a fact!. Schools have much more funding than PVI settings and are able to claim back VAT. PAYE and NI is extremely expensive in this sector and cuts in childcare costs could be made by a change in the taxation rules for childcare providers and staff. Why is the government trying to push the care into government control. They have tried that and now they are trying to hand back these facilities in many areas as they cannot operate them in a cost effective way. Totally agree with the previous posts regarding VAT, nurseries should be exempt as for any other business that supplies goods etc. for children. Funnily enough schools are exempt! Parents should be exempt from PAYE or funded appropriately to help with childcare costs. The NEF funding should be increased to include the academic holiday weeks too. The government has a long way to go before I am convinced that they are on the right track. School nursery places for 2 year olds? are they mad? School nurseries are all vey well, but are not great for working parents, how are they to work during academic weeks if the setting is closed? As for Early years teacher/graduates, these people are not going to work for current salaries when they have gone to the trouble of achieving high academic qualifications – for what, to change a nappy? Get real!! -If a school nursery is funded by the number of places it offers should a nursery not be given the same putting it on the same playing field as schools? -My understanding is that there are more “good” and/or “outstanding” PVI nurseries than there are “good” and/or “outstanding” school nurseries. Is this not enough for government to realise that the PVI sector should be recognised, supported and promoted further, maintaining choice for parents to best assess what type of environment suits their child (and their work/family life juggling act)? -2 year olds at school? Nonsense! Why can’t our government ride on the back of the learnings from other successful education countries that nurture well rounded children by holding back school age start dates ? 1) Does she check how many teachers were trainined to look after children under five. 2) What would happen to the majority of nursery staff that have early years qualifications, In one moment she wanted all the nursery staff to have teachers qualification and another moment she wants the school to take two years old children away from the nursery. 3) What age group will be left in the nursery? 4) Has she ever thought of what will become of the nursery practitioners as a bussiness owners. What she fails to realise is that there is a place for a nursery and there is a place for a school in the life of the early years children. Things does not work by theory but by practical. The professionals who work with early years children need to be consulted before making any shamble proposal. She fails to listen to many providers and professionals of what needed to be done to reduce childcare costs to parents. School does not open 52 weeks in a year and school only open at 9.00am and closes at 3.00pm Monday to Friday. Majority of parents do not work term time. What would happen to parents who works through out the year and who starts work before 9.00am works up till 6.00pm in the evening? I do not believe that her strength is in where she has been placed. The economy is already at its lowest state and to make more nursery bussinesses to close down will not help the economy at all and it would creates problems to parents and finally creates unrealistic environment to children in questions because they are not placed where they can achieve thier potentials thrive. Couldn’t agree more Robin. I have said the same for years too. I also believe and have stated many times before that if the Government were to make Early Years staff an exception regarding PAYE, more money would be made available within our own budgets to increase the salary paid to staff. I also believe that if the Government Free Entitlement went direct to the setting, we would receive more money per child and be in a better financial position to offset this to parents and either reduce our fees or stabilize any increases. The budget received by the LA is not ring-fenced, I am led to believe from a recent e-Consultation, that a significant sum is also retained, that funds can be used elsewhere in the LA Department. Either way, it is money that we never receive. I would love to know the percentage of the retained budget. Anyone out there know? Or more to the point prepared to say? I don’t know about any one else, but it is the fees for under twos fees that are affected by the ridiculous constraints in our Free Entitlement Contract with the Local Authority; two factors affect us: the receipt of insufficient funding and the affect on our cash flow whilst we wait for the release of the free entitlement into our bank account. Parents of younger children should not have to subsidize the affect of insufficient Free Entitlement. Provide us with sufficient and child care costs will go down! Will someone please explain to me why the Government could possibly believe that school nurseries are a good place for a two year old? Do they really think that by taking a two year old into school that the private, voluntary childminding sectors will be able to survive just caring for under twos? Parents are already under immense pressure to send their three year old into a school environment, far too early in my opinion; some elect of course to retain the services of the private, voluntary or child minding sector, but I can see the ‘lights of a steam train coming toward us’ in that more nurseries will close, and more child minders will cease to operate, as it will be difficult to survive financially. Are the Government intent on the destruction of the PVI sector in preference to the school environment because the staff are trained teachers!? Unbelievable if that is the case! Why are the rest of us being by-passed here? Our setting is an outstanding setting, we have highly trained, qualified staff at all levels, from Level 6 to Level 3 throughout, we do our best to keep pace with the professional development of all the staff. There are some excellent teachers out there, don’t get me wrong, but they are not trained to manage young children, neither are they trained or inclined to want to care for the day to day needs of older toddlers. I truly fear for the PVI sector in the future unless someone out there starts to influence the mindset of this Government. This is becoming a complete fiasco! For as many years as I can remember, myself and many others have stated that if we were exempt from VAT we would have a little more money to use in other areas. After all, we are not permitted to charge VAT and are therefore not on a level playing field with larger organisations and schools who have ways around this hurdle. 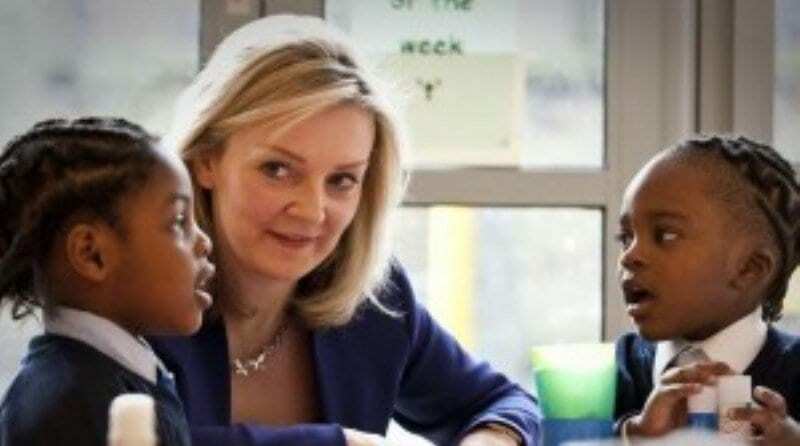 i cannot believe the goverment well Liz Truss, is she mad oh i know we will put 2 yr olds in school s WHY we are trained we nurture and we in Early Years know what we are doing Liz Truss needs to get a Job that she actually knows about by the way what Qualifications does she have? Frustrated or what.